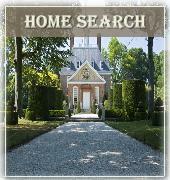 There are plenty of best places to retire lists and Williamsburg VA is on most of them.. But how about the places where it’s not such a good idea to retire? Every individual has to consider his or her own criteria for identifying the worst or best states to retire. One of the most important factors for anyone is proximity to family and friends. So, if you want to be near your grandchildren the worst state on our list could be the best state on your list. Likewise, you might not share the same considerations we used to develop this list. Tax issues might be most important for you, or you might not care about spending winters in a warm state. . The factors for 2012 are: Fiscal health, property taxes, income taxes, cost of living, and climate. Each criterion was worth up to 1 negative point. If these are not key factors for you, your list might look very different. Three new states made the list this year: Vermont, Minnesota, and Maine. That means that 3 states were lucky enough to leave the list: Ohio (low property and income taxes), Nevada (in terrible financial shape but no income tax and low property taxes), California (bad financial shape and high property taxes, but almost no income tax on our prototypical couple, plus a great climate). .
1. Connecticut. CT won a numerical tie for 1st place because it has much higher property taxes, income taxes, and cost of living than Illinois. It offers no exemption for social security, and most pension income is taxable. CT had the 3rd highest tax burden of any state in 2009. The Nutmeg State does have considerable charm and some terrific places to live, if you can afford to live there. 3. Rhode Island. The Ocean State has severely underfunded pension/health liabilities and budget deficits. It has the 5th highest median property taxes paid. Our prototypical couple would face much higher income taxes here than they would in most other states. It does have some great places to live, thanks to its extensive coastline and numerous bays and harbors. 4. Vermont. The Green Mountain State has very high median property and income taxes, with a top 10 cost of living. Winters here are better for skiing than golf. 5. Massachusetts. In the Bay State our prototypical retiree couple would face property taxes that are among the highest of any state. Even though social security income is exempt, income taxes would be high for our couple because of the flat rate applied to other earnings. Most government pensions are exempt, but private sector ones are taxed. The cost of living is high. 6. New Jersey. New Jersey residents are the biggest losers when it comes to property taxes – the median property tax in the Garden State is the highest in the U.S. at $6579. It also has the highest tax burden (as reported by the Tax Foundation), a large budget deficit issue, and a very high cost of living. New Jersey has both an estate and an inheritance tax. On the plus side, it excludes most pension and social security income for couples making less than $100,000. 8. New York. The Empire State was essentially tied with #9 Maine. We broke the tie because New York has the 4th highest median property taxes and one of the highest tax burdens. Surprisingly, the state did not earn any negative points for income taxes, since it offers generous exemptions for social security and pensions, along with a high standard deduction. Its cost of living is one of the highest, plus a very cold winter climate. On the plus side, New York’s Governor Cuomo is waging a campaign to limit property tax increases and improve the state’s fiscal condition. 9. Maine. Maine’s property taxes are much lower than New York’s, while Maine’s income tax on our prototypical couple would be about $1000 higher. Winters are even colder, but cost of living is lower.